A collection of wall hanging tapestries with designs featuring the legend of King Arthur, scenes from Camelot, the Knights of the Round Table, Excalibur and Heraldic shields, emblems and Coats of Arms. 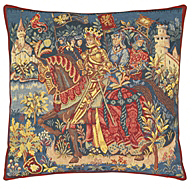 A celebration of shining armour, mythical castles and unicorns, elegant ladies and rich colour. 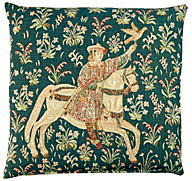 Some designs have been reproduced from tapestries originally designed and woven by Morris & Co.
Chivalry is from the French word chevalerie meaning armoured knights on horses. 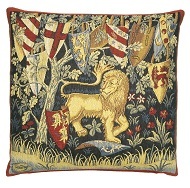 Heraldry means the use of armourial bearings, 'arms'. 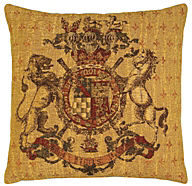 These are the heraldic emblems that knights placed on their armour and shields to identify them to their followers, so they would not be mistaken for enemies on approach or in the midst of battle. 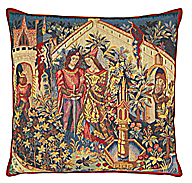 Classic Tapestries has many designs available. 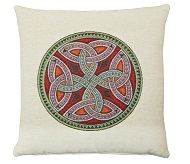 Not all are available for viewing on the website. 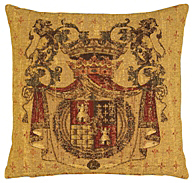 We welcome enquiries. 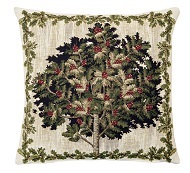 Please contact us for further designs. 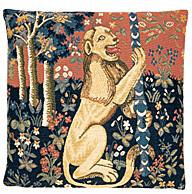 The lion represents the brave and courageous Knights of the Round Table, who have departed on their mission to seek the Unicorn. 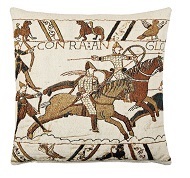 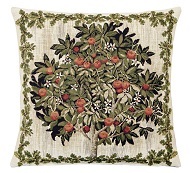 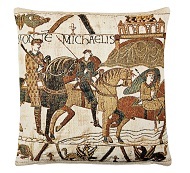 This cushion is a section of the design from the tapestry "Bayeux - Battle of Hastings". 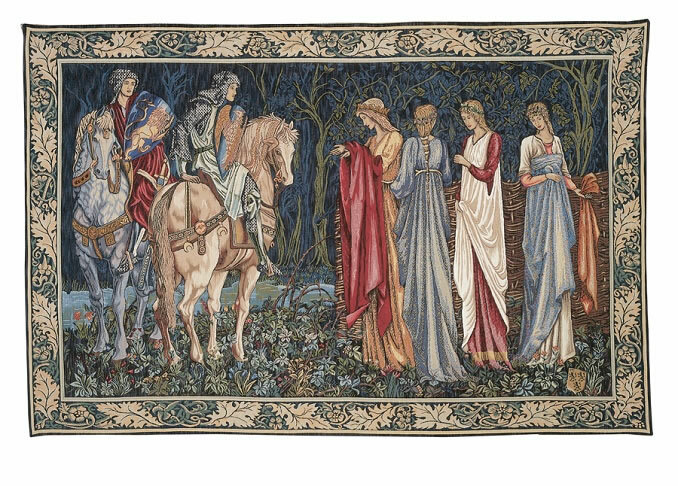 This tapestry and others are available to purchase through the website or contact us for more information. 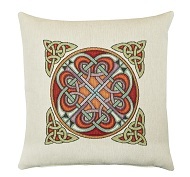 Loom woven wool blend cushion.